Jackson Gillis was a prolific writer for radio, television, and books. He was best known to Disney fans for having done the teleplays for the The Adventures of Spin and Marty and the two Hardy Boys serials on the Mickey Mouse Club. Jackson Clark Gillis was born in Kalama, Washington sometime in August 1916. He was the middle son of three boys born to Ridgeway M. Gillis and Marjorie L. Bennett. His father worked as a civil engineer for the Washington State Highway Department. In the late twenties the Gillis family moved to Sacramento, California, where Jackson grew up. 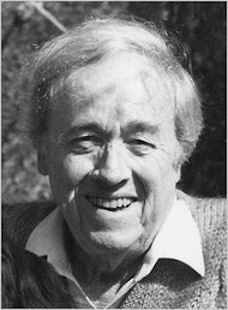 Gillis reportedly began writing while at Stanford University during the late thirties. After graduation he tried acting at the Barter Theater in Virgina, then enlisted in the US Army in early 1941. As a college graduate he was offered and accepted assignment to Officer Candidate School, from which he was comissioned a lieutenant in July 1941. Later that month he married a stage actress named Patricia Cassidy, whom he had met in Vriginia. Assigned as intelligence officer with the 184th Infantry Regiment, Gillis served in the Pacific during WWII, taking part in the campaigns for Kwajelein, Leyte, and Okinawa. One of his jobs in the latter battle was to devise propaganda material to try and convince Japanese civilians on the island not to commit mass suicide. After leaving the Army as a lieutenant colonel at the end of the war, he returned to writing stories and scripts for radio, including dramas like The Whistler. His steadiest work was for a radio detective show called Let George Do It. The success of this show led to Jackson writing the premise and teleplays for a 1953 television show about an NYPD detective called I Am the Law. During that same year he also began writing episodes for The Adventures of Superman, which he would continue doing regularly through 1956. (Contrary to what many online sources report, Jackson Gillis did not appear on camera in the episode called Great Caesar's Ghost). Gillis also wrote episodes for other television shows during the early fifties, including Lassie and The Millionaire. Jackson Gillis was a freelancer, not a studio employee, writing serial episodes on assignment for the Mickey Mouse Club, while continuing to work for other television shows. In April 1955 he was asked by producer Bill Walsh to write an initial treatment for a serial to be called Marty Markham, after the 1941 book of the same name by Lawrence Watkin. Jackson was paid $500 for the outline, and $500 for each teleplay episode for what would become the most popular MMC serial, The Adventures of Spin and Marty. Gillis greatly expanded the story, while retaining the essential spirit of the original tale. He fleshed out many of the book's characters with personalities that he sometimes seemed to derive from the young actors cast in those roles. The televised serial was superior to the original book, largely because of this ensemble approach. Jackson's writing was character-driven, his dialogue believable and consistent with the personality delivering it. When the serial proved a huge success, Gillis suggested doing a Spin and Marty feature film. (Throughout his career, Jackson never managed to sell a cinematic screenplay; his success was confined to television shows and made-for-TV movies.) 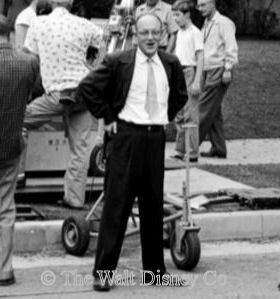 However, Walt Disney decided to do another Spin and Marty serial, and somewhat surprisingly, Bill Walsh gave that writing assignment to Lillie Hayward. Gillis was instead given a new set of characters to develop, for the Hardy Boys serial The Mystery of the Applegate Treasure. Adapted from the first Hardy Boys book, The Tower Treasure, the scenario had to conform with a list of do's and don'ts agreed to by Disney and the Stratemeyer Syndicate, which owned the rights to the Hardy Boys. Jackson Gillis made a number of significant changes to the storyline, some of which were driven by the younger ages of the actors portraying the Hardy Boys. Besides the teleplay for this serial, Gillis also wrote the lyrics to the Hardy Boys theme song composed by George Bruns. The Hardy Boys serial proved nearly as successful as the first Spin and Marty, more so than the Hayward written sequel, The Further Adventures of Spin and Marty. Given his track record, it seems odd that Bill Walsh didn't use Jackson Gillis for more serials. It may be that Jackson's non-Disney work precluded him from doing more than one serial per season, or possibly financial factors may have been at play. Jackson was almost certainly commanding a higher price per teleplay than Lillie Hayward, despite her long career in the industry. It's also possible that Bill Walsh simply felt more comfortable with Hayward, who by this time was largely dependent on the Disney studio for work. Whatever the reason, Lillie Hayward was given both "big-ticket" serials for the third season, the New Adventures of Spin and Marty and Annette, while Jackson was assigned to write a cut-down story of just fourteen episodes for the second Hardy Boys serial, The Mystery of Ghost Farm. Jackson's last work for the MMC was an original story, not adapted from any of the Hardy Boys books. This was definitely filmed on a limited budget, avoiding special-built sets and using a second-tier supporting cast. At roughly the same time, Jackson also wrote two teleplays for Zorro, his last Disney assignments. In 1956 Jackson began a long association with Perry Mason, writing teleplays and eventually acting as an associate producer for the show in the sixties. He continued to write teleplays for many other shows, though rarely more than one episode per series, as if he quickly grew bored with them. In the early seventies, however, he began writing regularly for Columbo, the show he would be most closely associated with over the years. Jackson was nominated for an Emmy award in 1972 for his Columbo teleplay Suitable for Framing, and in 1974 received an Edgar Allen Poe award nomination for another Columbo teleplay, Requiem for a Falling Star. He continued to do Columbo television movie specials for nearly twenty years, earning the title of executive story consultant in the credits. Jackson published his first mystery novel, The Killers of Starfish, in 1977, and followed it a decade later with Chainsaw. After retiring in 1996, Jackson Gillis and his wife moved to Moscow, Idaho, where their daughter lived. Jackson Gillis passed away from pneumonia on August 19, 2010.